This ad has been favorited 737 time(s). 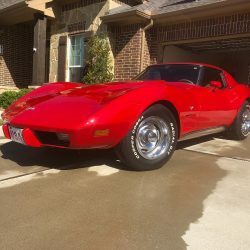 1982 Corvette Coupe Collectors Edition, Original 6,000 Miles. This is truly a rare find. 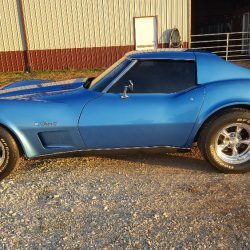 You do not see too many Collector Edition with low miles. 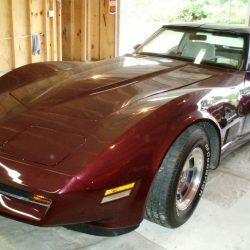 This car is in Excellent Condition, MUST SEE TO APPRECIATE THIS CAR ! Everything works on car including Cold A/C, AM/FM Cassette Stereo Radio, Power Antenna, Telescopic Steering Column, Power Windows & Locks, Cruse Control, etc… ALL work as they should. Car runs Excellent with No Issues from the Cross Fire Injection. All paperwork included from new. Well cared for corvette kept in climate controlled facilities. Call or email with any questions. Paint is excellent and according with a 6,000 mile car. Undercarriage is clean and not grungy as with many cars. No known leaks. Car is located in Fort Lauderdale. You Wont Be Disappointed.